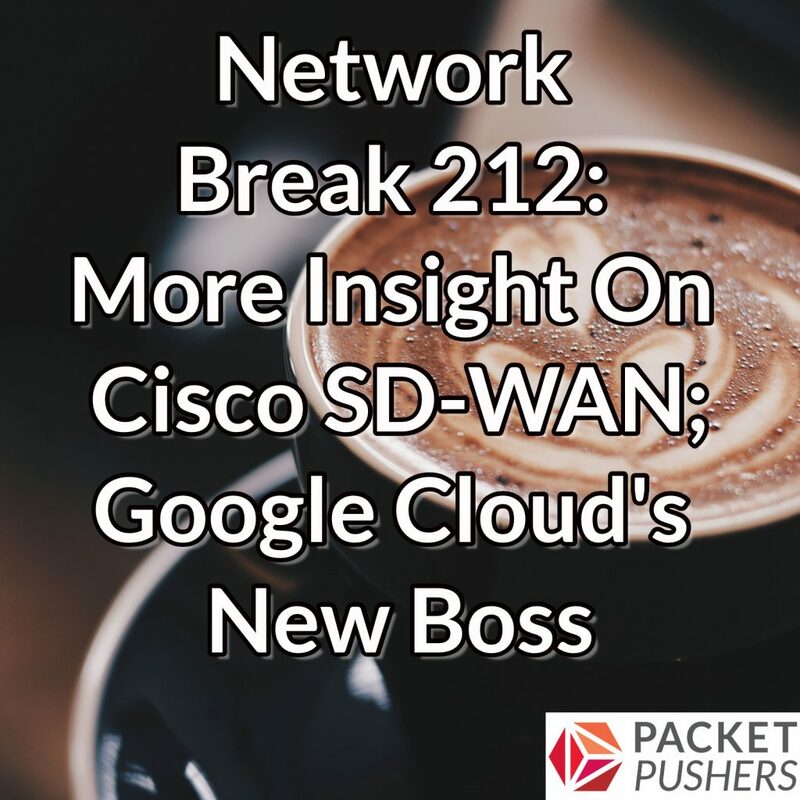 Ethan Banks joins the podcast to share more insights on Cisco’s recent announcements around SD-WAN and upgrades to its WLAN controller. Innovium leaves a clue about whether its ASIC found its way into a new Cisco switch, and Google Cloud turns to Oracle for its new CEO. Hyperscales put up $26 billion in CapEx in the third quarter of 2018, the United States presses allies to avoid Huawei gear, and Cisco snaps up a British software company that targets service providers. Apstra adds new features to its Intent-Based Networking software, new research says the United States is the most expensive mobile data market in the developed world, and a New York Times article pokes holes in the hype around the health benefits of standing desks. Get links to all these stories after our sponsor messages. ThousandEyes gives you performance visibility from every user to every app over any network, both internal and external, so you can migrate to the cloud, troubleshoot faster and deliver exceptional user experiences. Sign up for a free account at thousandeyes.com/packetpushers and choose a free ThousandEyes t-shirt. Register now for the Packet Pushers’ Virtual Design Clinic on December 19th. This live, online event includes deep-dive technical presentations for network engineers, Ask Me Anything sessions with expert panelists, and a sponsored presentation from Apcela. It’s free to sign up. Go to packetpushers.net/vdc to register.